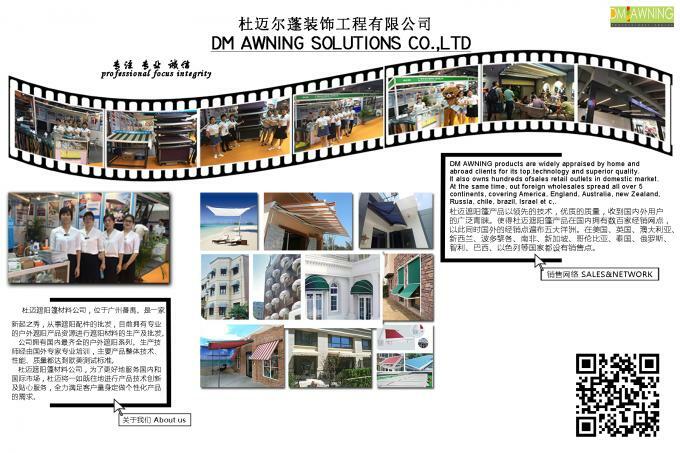 DM AWNING SULOTION CO., LTD professional awning&sunshade for outdoor products with R&D,wholesales and marketing. 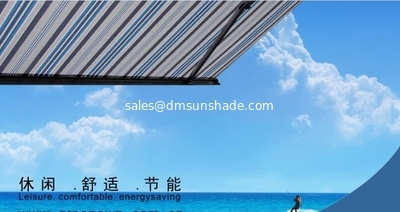 giant umbrella and so on. 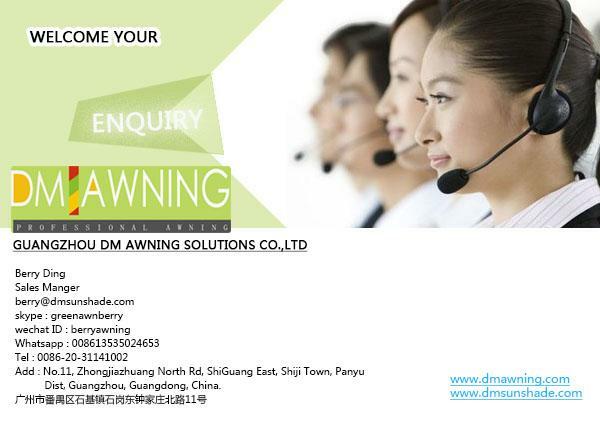 Owing to our designing technician teamates, we can provide OEM or ODM services for meeting your specific requirements. 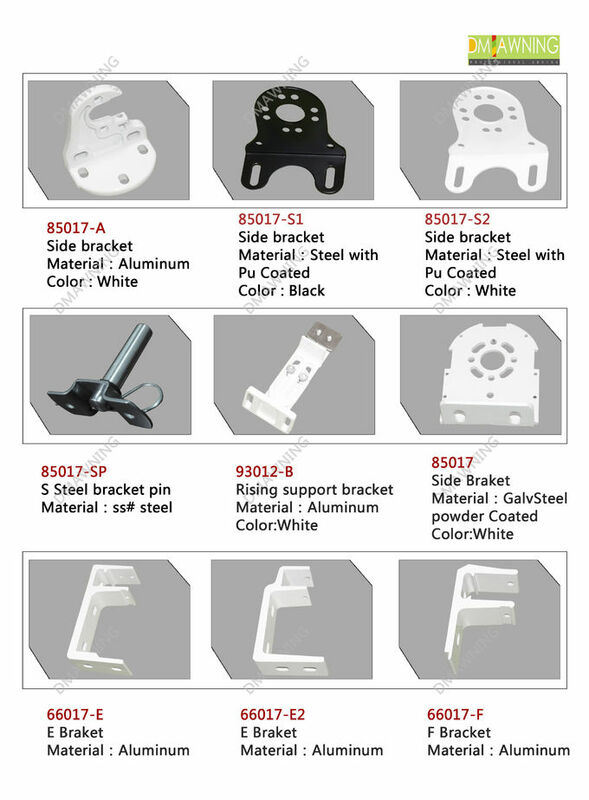 As you know, Guangzhou is aluminum manfactuering base for purchasing aluminum in reasonal price with convenient transportation. 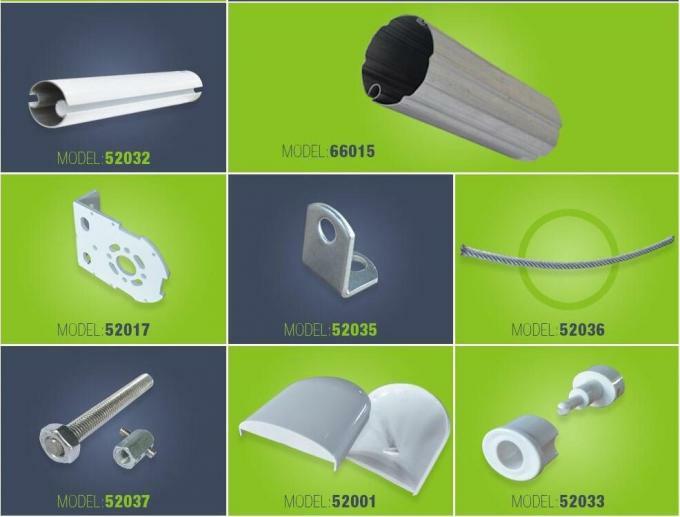 We can open new free mould for your any new aluminum front bar, roller axle with MOQ 300pcs for meeting your imagination. 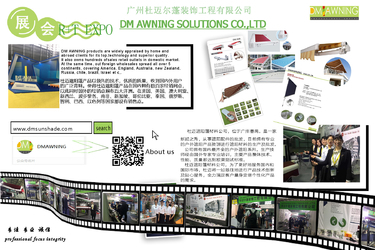 That is the reason we can separately offer front bar, roller axle,square tube,folding arm and fabric for all of the customer worldwide. 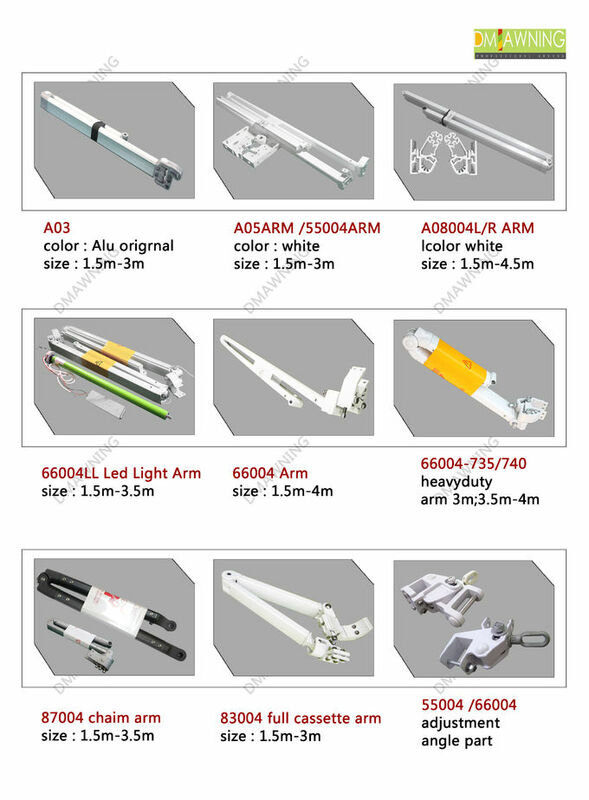 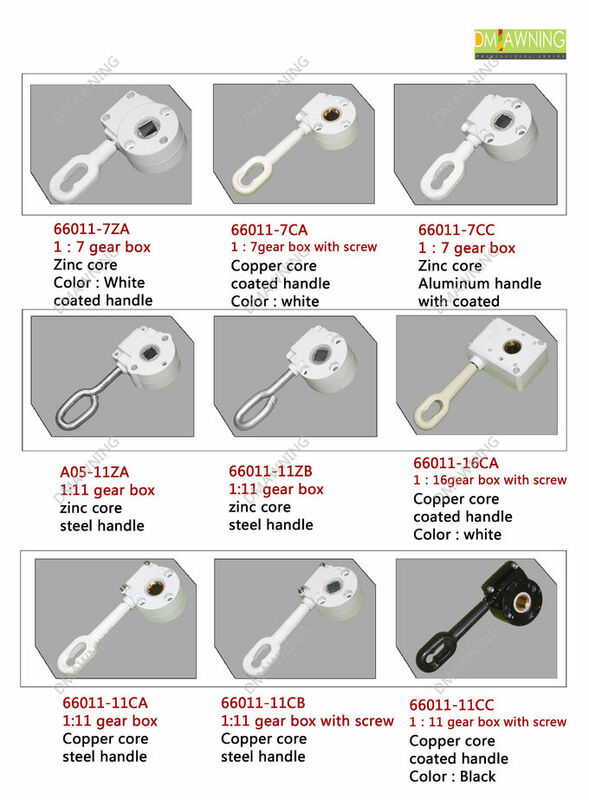 more important we have very stable arm with 660 model arm ,more than ten years of usage ,few have after-service with any broken problem ,and well given clients good market . 1 diversified design, retractable awmings, conservatory awnings, drop arm awnings with stable quality etc. 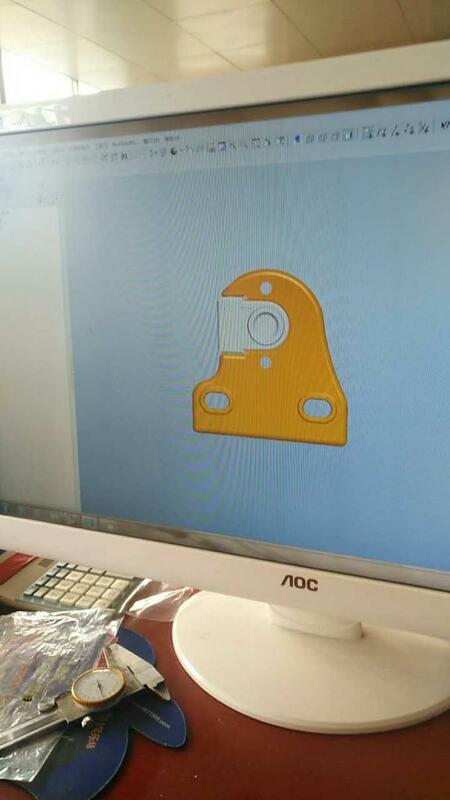 3 welcome customer's drawing and requirement, also can open new mould for it. 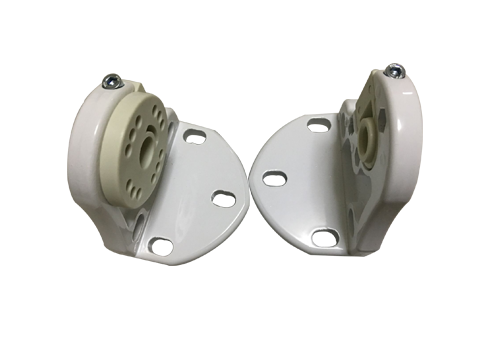 4 experienced engineer,sound management system, innovative mind and team work. More photoes and projects infomation pls visit our website www.dmsunshade.com.